New must-see places of good treats, original creations of the greatest pastry chefs ... The nougat invites you! Made with honey and almonds, this confectionery gathers ingredients with surprising virtues that bring a multitude of benefits to the body. The nougat has a bright future! This traditional Provençal confectionery that has sprung up in Montélimar is talked about all over the world. We have the pleasure to welcome in our factory many ambassadors of this delicacy who share these values and its history. 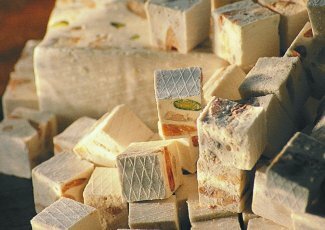 We will try to awaken your taste buds to the mysterious universe of nougat, this ancient confectionery whose first traces date from the Phoenician period, before Christianity. 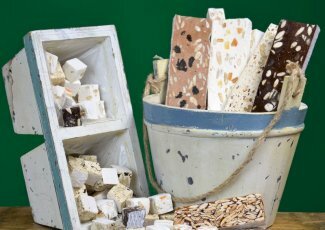 The virtues of nougat are now recognized,only if you taste it as a delicious treat and avoid any excess!